Rising mobile usage and the growing popularity of voice search look set to continue dominating the world of SEO in 2019. Despite this growing trend, many marketers have yet to prepare for the shift towards voice search. The reality is more people are becoming comfortable speaking to their mobile devices and voice-enabled personal assistants to find answers to their queries. Voice search requires less effort, is more convenient, user friendly, and enables searchers to quickly access information on the go. It’s up to marketers to adjust their SEO strategy towards natural speech patterns and long tail keywords. While we’re not saying to disregard your existing audience, if you’re solely focusing SEO on typed search queries, you’re going to get left behind. Wondering how you can prepare and act on the new wave of customers using voice search? The way in which we type into search engines and the way we speak are entirely different. For example, you might type shorthand into Google “Italian restaurant Belfast”, however when you speak, you’re more likely to use a complete sentence, “What’s the nicest Italian restaurant in Belfast?” It’s crucial to tap into the natural way searchers engage with their devices. Try to incorporate a conversational tone and long tail, specific keywords throughout your content to enable search engines to easily match your articles with searchers queries. Organic search is constantly changing. 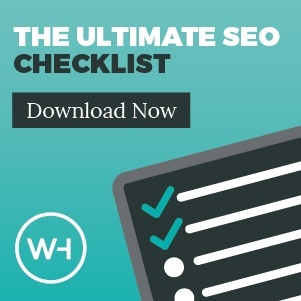 Algorithm updates and the ranking factors required to reach the number 1 spot on Google necessitates dedicated SEO practices. The recent shift towards voice search is merely another aspect to be considered by publishers and SEO specialists alike. So how will voice search change user behaviour and what can you do ensure you’re found? While content is still important, fewer people will read it, with virtual assistants scanning for their solutions and reporting the answer back. The shift towards voice search will make featured snippets (aka answer boxes) a desirable feature for publishers. 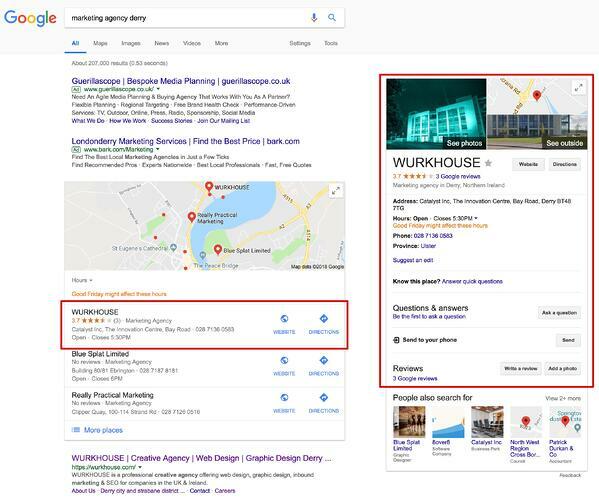 Featured snippets are search results that Google selects to feature on top of organic results below the ads. The goal of featured snippets is to instantly answer a searchers question. It’s worthwhile considering your FAQs to identify common queries your customers have. Use these as a foundation for new content creation and to optimise existing articles so that Google can easily scan and select the optimum featured snippet for a keyword. Have you claimed your Google My Business listing yet? An optimised listing is crucial so that Google can find out business information such as address, contact number and opening hours. With mobile voice searches most likely local based queries, an up to date Google My Business listing will improve your likelihood of ranking when a voice search is related to your business offering. FAQ pages are a great way to group together common queries on one page. Try to focus your FAQs on the long-tail keywords and natural language your searchers will ask their devices. We recommend foreseeing the terminology searchers will use via voice search, this will include more specific questions like “Echo, where is the best ski resort in Europe” or “Alexa, where can I purchase kids Nike trainers online?”. 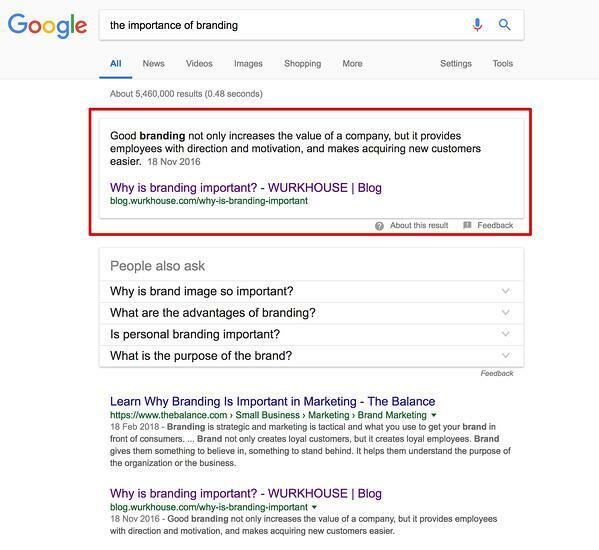 Creating individual pages that answer your target audience’s common questions will not only improve your voice search ranking, but also increase the likelihood of being selected for Google’s Featured Snippet. With voice search set to take the SEO world by storm in 2019 it’s vital to adapt to keep up with changes in searcher behaviour. Editor's Note: This post was originally published in April 2018 and has been updated for accuracy and comprehensiveness.